A scammer with a long history of fraud is roaming East Raleigh neighborhoods, looking for unsuspecting neighbors to give him cash. 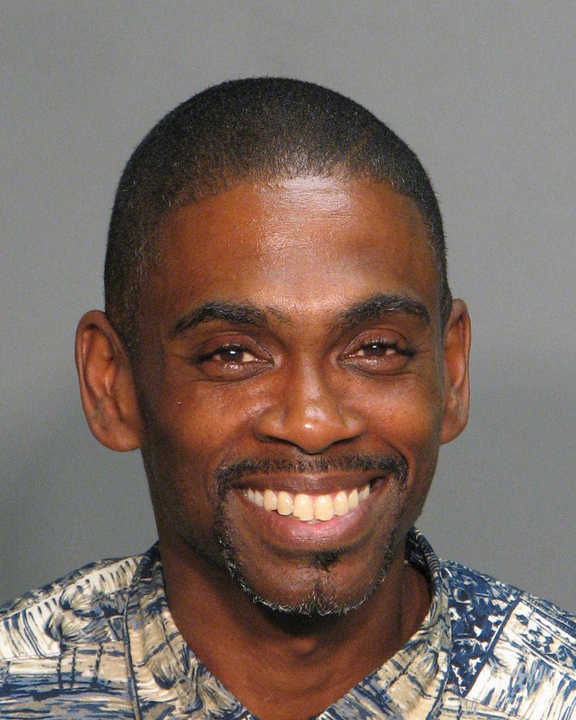 Kevin Edward Ross was arrested by Raleigh Police in June 2009 for obtaining property by false pretenses and is now allegedly continuing his scam. East CAC signs are in! 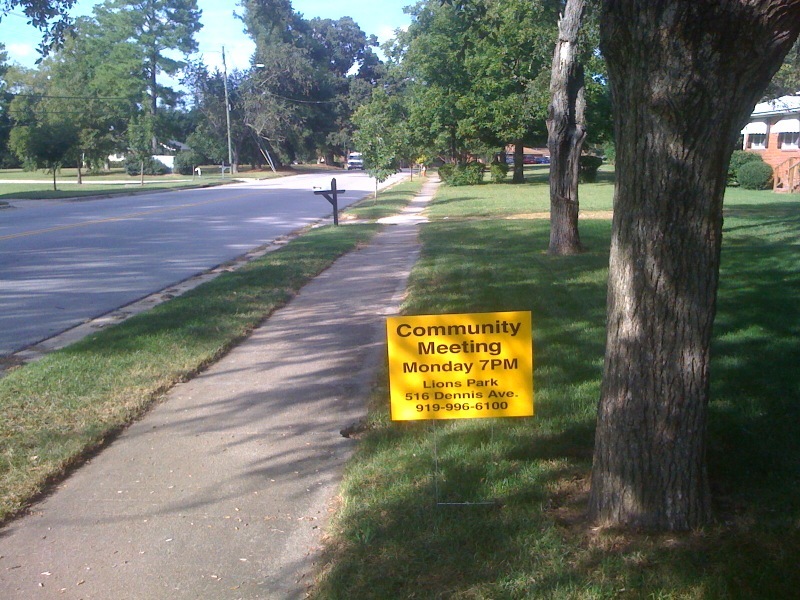 We now have yard signs we can use to advertise our meetings! Volunteers will plant the signs in their yards the Friday before a CAC meeting and take them down after the meeting. It should greatly increase the visibility of our CAC! If you’d like to take a sign, contact me and I’ll get one to you. Thanks to CAC Vice-chair Van Alston for shepherding this project to completion! 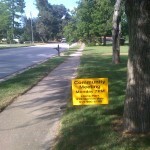 Posted in East CAC, Uncategorized | Comments Off on East CAC signs are in! 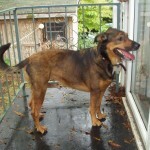 Update 20 Oct 2009: Wiley is now part of a “rescue” program, so the immediate need has passed. Thanks for your interest! 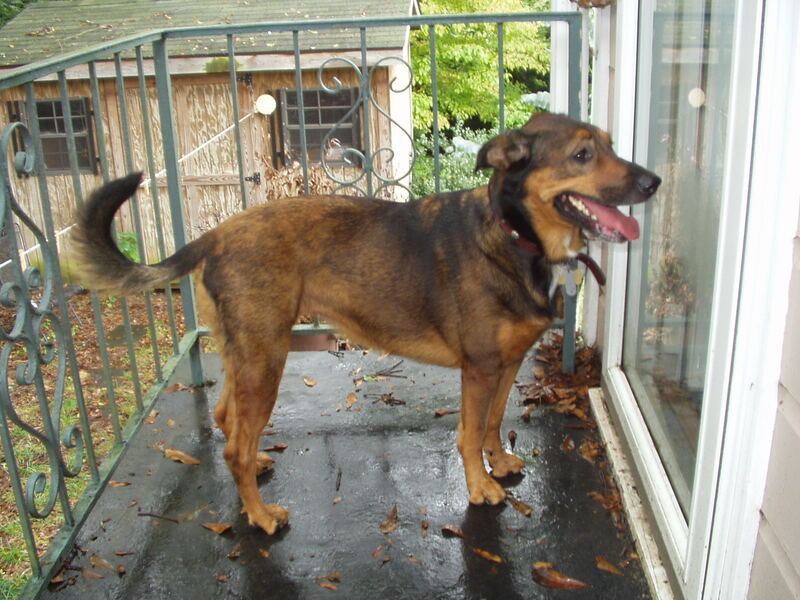 Wiley is a 4 year old female. She’s house-broken, knows a few basic commands like sit and down, and is good with other dogs. She’s very energetic, so would do best living with someone who likes to walk or run. She’s had all her shots, is heartworm-negative, and has a microchip. I rescued her from a neighbor who had abandoned her. She’s just too energetic for my 15 year old dog with cancer. If you are interested, call Ashlyn at 919-741-4748 or email, ashbshaw at nc dot rr dot com. I’ve updated the East CAC links page with a few more important resources. The city’s list of important phone numbers has been added. And, you can now search the city’s Code of Ordinances for city laws. Finally, you’ll also find a Firefox or Internet Explorer plugin for easily searching the city’s website. See the Links page for more information. Also, now you can keep up with East CAC events using our online calendar! If your calendar program can subscribe to online calendars (newer Outlook versions, Mozilla Thunderbird, Apple’s iCal, and some others do), you can subscribe to the East CAC calendar and our events will appear in your calendar automatically! Never miss another important East CAC Event! To use it, simply use your calendar program to subscribe to the calendar using this Calendar link. The East CAC is now accepting nominations for the Neighborhood Recognition Awards. If you know a worthy individual, non-profit organization, institution, or group in our CAC who deserves to be recognized, please send your nominations to cac-leadership at eastraleigh.org. We’ll take nominations at Monday’s meeting as well. See below for more information. Thanks! Chair Mark Turner called the August meeting of Raleigh’s East Citizens Advisory Council to order shortly after 7 p.m. on Monday, August 17 at Lions Park Community Center. There were about 30 people in attendance throughout the evening. The July minutes were approved. OPENING ANNOUNCEMENTS: The CAC’s Outreach, Planning and Economic Development Committee will meet at 6:30 p.m. on Monday, Sept. 14 at the Lions Park center to discuss rezoning case Z-18-09 involving the Longview Grocery at 2405 Poole Road at Norwood with developer Daniel Coleman. This involves a rezoning from Residential-6, which the city imposed on the store when it annexed the area in 1948, to Shopping Center-Conditional Use, with conditions including no convenience store, auto facility or drive-through restaurant. 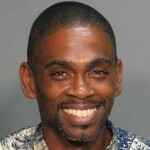 (For more details on the case and possible conditions, see the March minutes at http://www.eastraleigh.org/?p=147 and the June minutes at http://www.eastraleigh.org/?p=190.) A public hearing is scheduled for October 21 before a joint panel of the City Council and Planning Commission. East CAC meets Monday, 21 September! The East CAC will hold its next meeting on Monday, 21 September at 7 PM at Lions Park Community Center, 516 Dennis Avenue. We will hear from Jay Mercer, Director of the City’s Emergency Management Center, who will talk to us about Emergency Preparedness, both from what the City does to prepare for disasters, etc. to what the citizens should do to prepare themselves. He will also bring along someone to talk about the CERT (Community Emergency Response Training) training that is available to those who may be interested. We will also hear from our CAC’s OPED committee regarding its recommended action on Z-18-09, the rezoning of the convenience store property at Poole Road at Norwood. East CAC residents will then vote on this rezoning request. Last but not least my term as East CAC Chair is expiring, so we’ll be taking nominations at this meeting for voting at our October meeting. Posted in East CAC, Event, Meeting | Comments Off on East CAC meets Monday, 21 September! If you’ve ever wondered how a home burglary takes place now you can watch one on YouTube. An Atlanta family, having been burglarized before, set up a surveillance system and on Friday was burglarized again. Fortunately, they caught it all on video and posted it on YouTube, which quickly led to an arrest warrant. This is a fascinating look at how a B&E happens. The whole episode takes mere minutes, and usually starts with a knock on the door. The burglars were inside less than a minute (less than most alarm entry delays) and then they were gone. The dog didn’t even faze them. Got those strikeplate screws replaced yet?